Strolling through the halls of North Carolina State University’s College of Design, it’s easy to see why you can’t help but feel inspired. Between students working busily on the final touches of their end-of-year collection to the construction of a new installation, there’s no shortage of creativity coming from this design school local to Spoonflower’s headquarters. After finding inspiration from the design work and textiles inside the Taj Mahal, emerging designer grant recipient R’Bonney Nola searched far and wide for fabrics to replicate these intricate patterns for The Pin Show, a Dallas, Texas based event that provides a platform for both emerging and established designers. 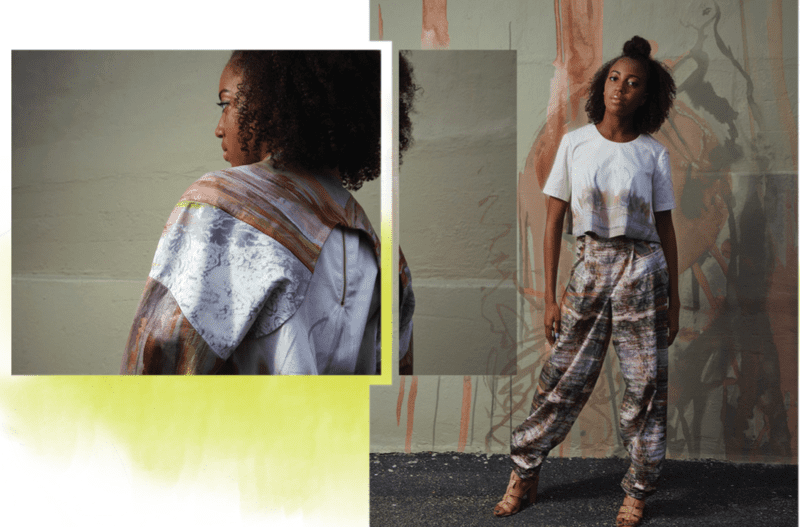 As her search for this particular fabric left her empty handed, she quickly took matters into her own hands and put her semester of learning Adobe Illustrator to work by designing her own fabric. R’Bonney is visiting the blog today to share her experience as an emerging designer and what inspires her most. The textile industry has always been a large part of what makes North Carolina rich in history. From the furniture market in Greensboro to North Carolina State University’s esteemed College of Design and Textiles, Spoonflower is proud to support the local makers who are helping shape the fashion industry. 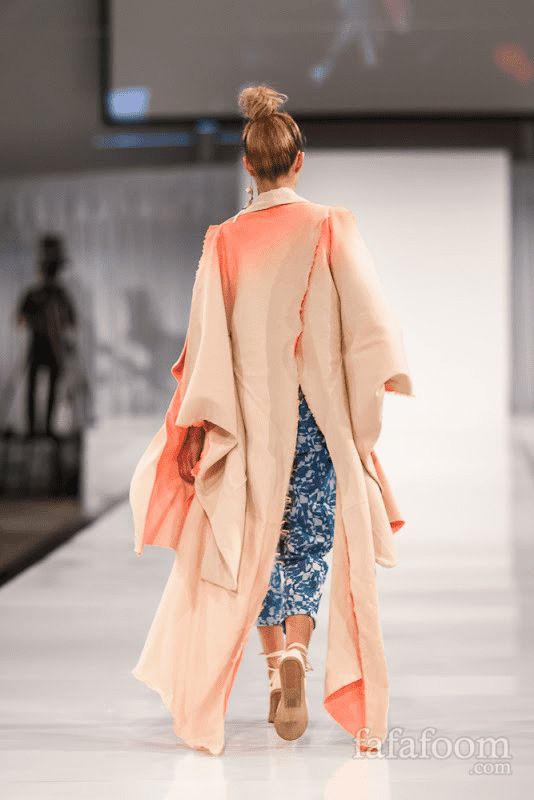 This year, Spoonflower and the talented local design community celebrated the 16th year of Art2Wear, a completely student run fashion show at North Carolina State University. 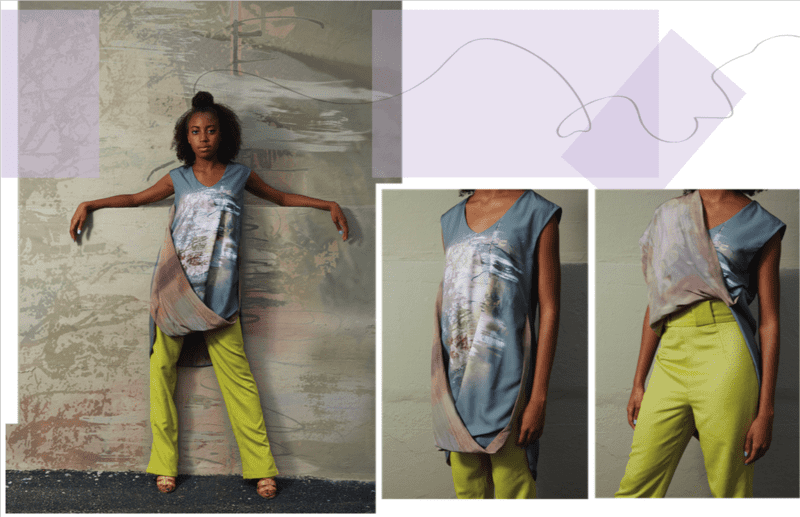 Custom design “Palmy” printed on Sport Lycra captures the feel of urban beaches in Grace Hallman’s collection, Flora Street. Photo by Katelyn Auger. The on-demand digital printing industry has opened up a new level of possibilities for designers to customize unique garments and interior design projects like never before. Through the ease and accessibility of the digital-print platform, every inch of surface area on fabric or paper media can become a form of expression. Here at Spoonflower, it is part of our mission to fuel creativity and innovation, so we jump at the chance to support fledgling designers doing new and exciting things in the textile world. If you're headed off to school this semester to study textiles or design, consider applying for the Spoonflower Emerging Designer Grant. This grant awards undergraduate and graduate students worldwide with Spoonflower credit to explore digital textile printing to create collections and exhibits. 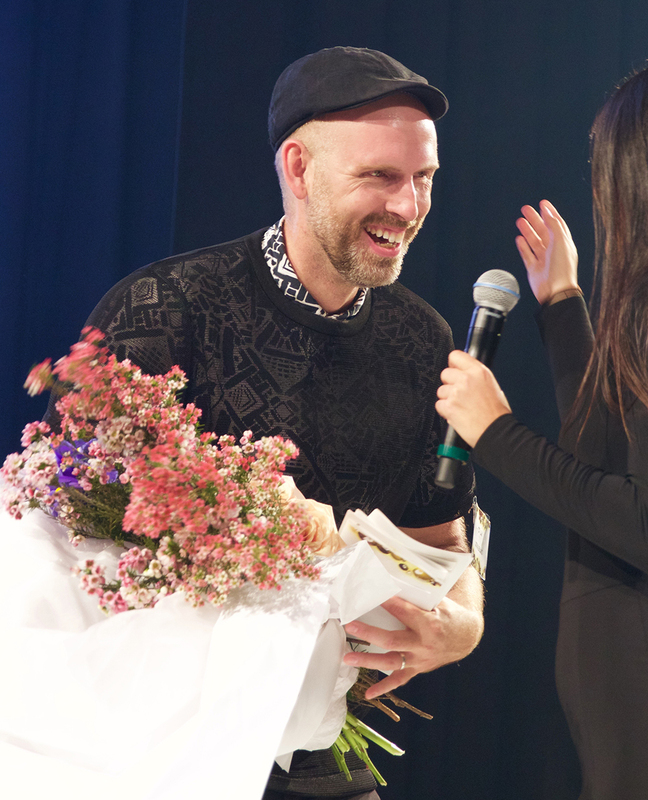 Recipients selected on a monthly rolling basis will receive an award of $150 in Spoonflower credit to design their own digitally printed fabrics and wall media for use in shows and exhibitions. 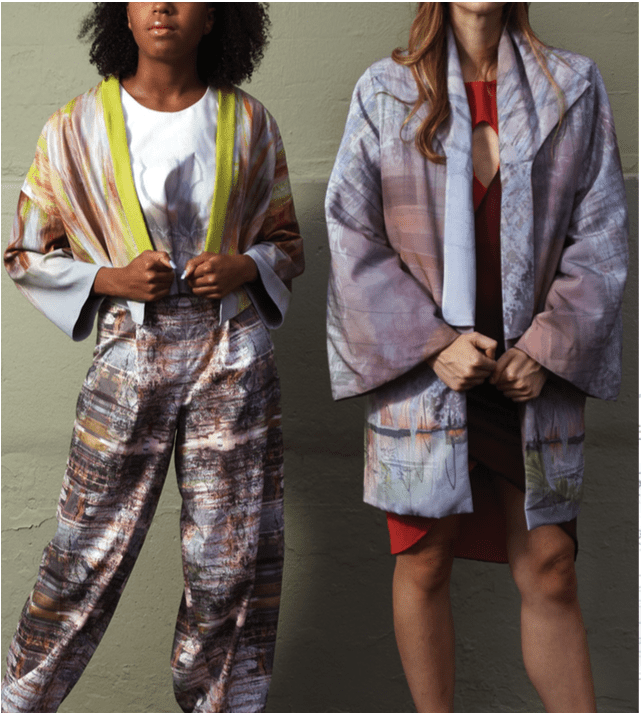 Here's a look at some of the stunning pieces a few of our Fall 2014/ Spring 2015 Emerging Designer Grant recipients have created with their awards. This is Spoonflower's third year offering the Emerging Designer Grant and we are continually proud and amazed at the talent of these young designers of tomorrow! Find out more information about the grant and how to apply here. 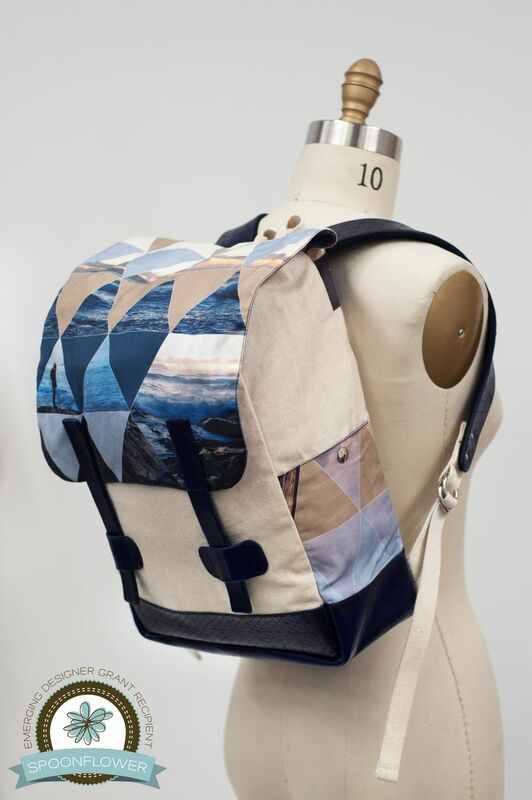 Are you headed back to school to study textiles or design? 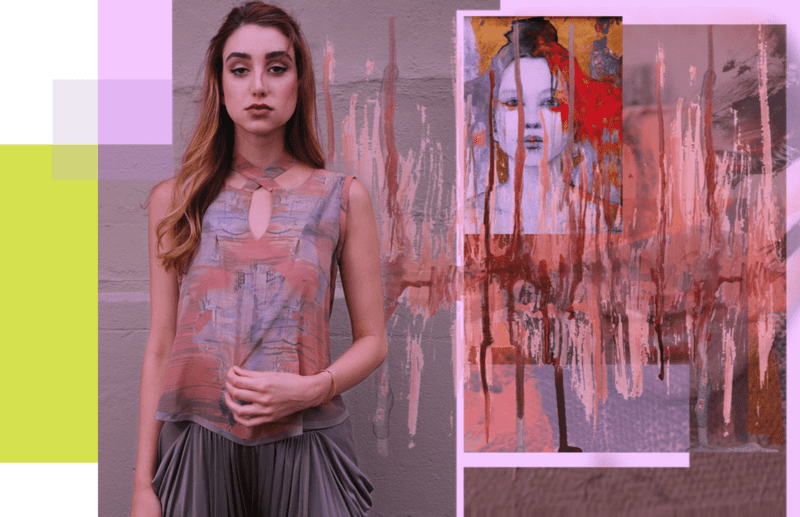 Spoonflower’s Emerging Designer Grant awards undergraduate and graduate students worldwide with credit to explore digital textile printing to create collections and exhibits. Recipients selected on a monthly rolling basis will receive an award of $150 in Spoonflower credit to design their own digitally printed fabrics and wall media for use in shows and exhibitions. Take your semester projects to the next level by incorporating custom printed fabric! The Spoonflower Emerging Designer Grant was created to support undergraduate and graduate students in pursuit of textile and design degrees worldwide. Recipients selected on a monthly rolling basis will receive an award of $150 in Spoonflower credit to design their own digitally printed fabrics and wall media for use in shows and exhibitions. More information and how to apply can be found here. This fall design students head back to campus and begin to dream up exciting ideas for class assignments and independent projects. Spoonflower is making it easier for up-and-coming designers to use custom digitally printed textiles through the Emerging Designer Grant.